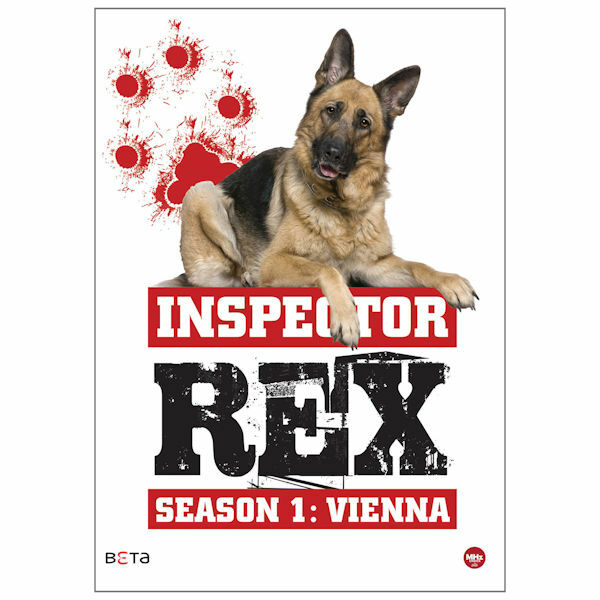 Among Vienna's detectives, Inspector Rex is top dog— because he is a dog. With help from his two-legged partner, Inspector Richard Moser (Tobias Moretti), Rex uses his K9 capabilities to protect the innocent, pursue criminals, and cop the occasional ham roll. Follow along as Rex and Richard track down a serial teddy bear bomber, a killer of old ladies, and Beethoven's head. An international sensation, seen on MHz. 11 ½ hrs, 4 DVDs. German with English subtitles.